The session will focus on the development and validation of a pediatric obesity risk assessment tool for low-income families. Additional topics include the importance of tailoring content to literacy level, culture, and language of the target audience and application to nutrition education. Related JNEB article. Dr. Townsend is a Nutrition Specialist Emerita in the Department of Nutrition, University of California, Davis. Dr. Townsend is an expert in program evaluation, intervention development, and assessment tool validation. Her obesity prevention research focuses on improving diets and physical activity of low-income families. The food and nutrition environment – which includes aspects such as food pricing, placement, marketing and promotions – is known to impact consumer behaviors. However, the impact of the food and nutrition environment in emergency food settings, which serve low-income consumers at high risk for food insecurity and poor quality diets, is less understood. This webinar will introduce viewers to the Nutrition Environment Food Pantry Assessment Tool (NEFPAT) – a novel user-friendly tool that can be used by raters to evaluate a variety of food pantry efforts to promote health through their services. Attendees will understand the components of the NEFPAT, why they were selected, and the methods used to determine validity and reliability. How to use the NEFPAT in food pantry settings will also be discussed. Jennifer McCaffrey is the Assistant Dean for the Family and Consumer Sciences programs at University of Illinois Extension. In her position she focuses on providing statewide leadership for Extension programs in nutrition, family relationships, and personal finance. She has extensive experience implementing programs for limited resource families and currently oversees EFNEP and SNAP Ed in Illinois. McCaffrey earned a PhD in Public Health from the University of Illinois Chicago, Masters in Public Health from University of Minnesota, and is a registered dietitian having earned her degree in Dietetics from the University of Wisconsin. Cassandra Nikolaus is a PhD Candidate in Human Nutrition at the University of Illinois at Urbana-Champaign. Broadly, her research interests are in understanding how food decisions are made and what can be done to improve consumers’ dietary patterns. Specifically, she uses quantitative and qualitative methods to understand decisions related to food preparation, food waste, and environmental influences. In addition to her graduate training, Cassandra has worked with University of Illinois Extension for the last three years to support research and evaluation endeavors. She received her MS in Nutritional Sciences at the University of Illinois at Urbana-Champaign after receiving her BS in Dietetics at Central Washington University. This presentation will describe the process of conducting a qualitative research study and highlight results from a study that explored the extent to which parents divide responsibilities of feeding (what, when, where, how much, and whether) with their children and the factors that influence parents' approach to feeding. Overall, we found that parent's approaches to feeding varied widely. A few parents followed the Division of Responsibility approach closely. Instead, many parents gave their child more than the recommended amount of influence over what foods were served and offered children less than the recommended amount of autonomy over the whether and how much of eating. Meals and snacks were approached differently; parents exhibited less control over the timing of snacks as well as the types and amounts of foods eaten during snacks, compared with the control exhibited during meals. Katie Loth, PhD, MPH, RD is an Assistant Professor in the University of Minnesota Department of Family Medicine and Community Health. Her research explores social and environmental influences on child and adolescent weight status and disordered eating behaviors. Specifically, she is interested in identifying ways that parents can work to help their children develop and maintain a healthy weight and a healthy relationship with their bodies. Loth is also a dietitian and sees patients in an outpatient clinic and helps train family medicine residents. Those darn millennials...did they kill processed cheese? 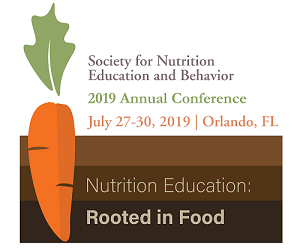 The Journal of Nutrition Education and Behavior is issuing a call for papers for a themed issue focused on the Scholarship of Learning related to nutrition education and behavior. This topic includes all journal article types: Research Articles, Research Briefs, Systematic Reviews, Methods, Perspectives, and GEMs. The Scholarship of Learning topic includes learning and teaching strategies in formal and informal classrooms or settings where the focus is nutrition. The deadline for submitting articles for consideration is April 15, 2019.